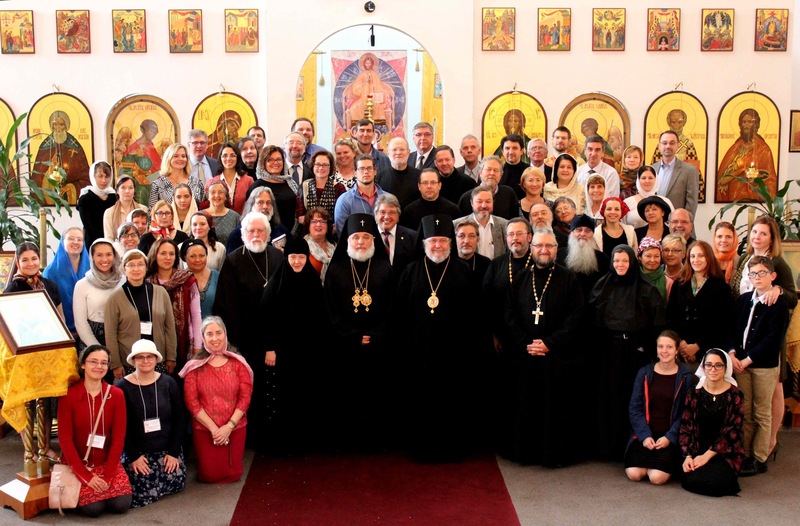 The 25th Anniversary Russian Orthodox Church Musicians' Conference of church choir directors, singers and readers – attended by over 70 people – took place in the seat of the Canadian Diocese, Montreal, with great results and success. The conference was organized by the Liturgical Music Commission (LMC) of the Synod of Bishops of the Russian Orthodox Church Outside Russia together with the organizing committee of the St. Nicholas Cathedral. The central theme was: The Music of Today's Russian Orthodox Church: Perspectives in Creative Artistry and Technique. The intensive workshops, rehearsals, and lectures took place at the excellent Marriott Courtyard Airport Hotel. The conference opened with The Prayer Service Before Beginning Any Good Work, served by the ruling diocesan bishop, Archbishop Gabriel. In his brief remarks, Vladyka referred to the importance of this work and called upon all to focus and draw as much information and experience as possible from the sessions. After Vladyka's remarks, the head of the LMC, Protopriest Andre Papkov, thanked our beloved Vladyka for his support and officially opened the 25th Anniversary Church Musicians’ Conference. 1) Mother Juliania, (Choir Director of the festal choir of the St. Elizabeth Convent, Minsk, Belarus) – The Art of Harmonizing Liturgical Chant. 2) Michael Woinowsky-Krieger (Choir director at St. Nicholas Cathedral, Montreal) – The Technical and Spiritual in our Church Singing: What's the Connection? 3) Dr. Peter Jermihov (Choir Director the St. Romanos Society, Chicago) – Conducting Technique: With Presence of Mind and a Burning Heart. 4) Dr. Nicholas Schidlovsky (member of the LMC, Lecturer at Princeton University) – Envisioning 'the Ideal' in Our Church Singing: History, Theory and Liturgical Composition. 5) Dr. Peter Jermihov – How the Conductor Prepares. 6) Dr. Kurt Sander (member of the LMC, Professor at Northern Kentucky University School of the Arts) – The Asceticism of Creativity: Some thoughts on the Process of Creating Sacred Music. A special invitee to the conference was the world famous choir director and composer Mother Juliania (in the world, Irina Denisova) from the St. Elizabeth Convent in Minsk (Belarus), who impressed all participants with her knowledge, directing technique, and a burning love of our common pursuit. Thank you, Matushka! Special mention must be given to the two-part seminar led with great success by Peter Jermihov, a well-known North American conductor and a zealous participant in these conferences. Three students worked individually with Maestro Jermihov in perfecting their conducting technique and prepared selected pieces to be sung during the solemn divine services. While observing the work of these students during rehearsals, Peter Nikolaevich conducted talks with everyone about the importance of a spiritual approach and inner contemplation during services and even rehearsals. It should be said that the success of this seminar was tremendous. Thank you, Peter Nikolaevich! Meals were taken three times a day in the hotel, giving an opportunity for participants to get to know each other better. In the evenings they relaxed, swam in the hotel pool, and socialized. Thanks be to God, the number of participants from the younger generation is growing with each conference. There was also in attendance a contingent of young people who had completed the Summer School of Liturgical Music, held under the auspices of the LMC and Holy Trinity Seminary. On Friday evening, while the participants had a free evening for rest or sightseeing, the Commission held a lengthy meeting where a full agenda of items was discussed. On Saturday evening everyone set out for St. Nicholas Cathedral. It is a large church with very good acoustics.A 70-voice choir sang the All-Night Vigil. For parts of the service the choir divided into two and sang antiphonally. Archbishop Gabriel presided at all the services along with Protopriests George Lagodich (who had taken upon himself the lion's share of conference organization) Michael Metny, Fr. Andre Papkov, along with the deacons Vadim Gan, Vassily Milonov and Boris Sidorenko. After the Vigil, through the efforts of the sisterhood, a bountiful dinner was served in the church hall. On Sunday morning the solemn Greeting and Vesting of the Archbishop took place. 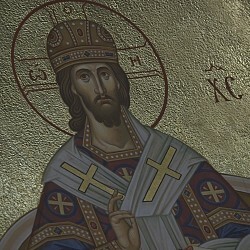 In addition to the clergy named earlier, His Grace Archbishop Irénée, (Orthodox Church in America) concelebrated. The Divine Liturgy was served prayerfully with a good number of worshippers in attendance. The wonderful results of the work during the conference were in evidence. The Liturgy concluded with a resounding Many Years and words of gratitude from Archbishop Gabriel. After the service, and the unforgettable memories it brought, was the closing banquet, during which the Commission thanked the local organizing committee and presented them with modest gifts. It remains only to thank the Commission and the organizers of this wonderful conference, and wish them all God’s help and strength of spirit in future endeavours and labours in the field of church music. - And, God willing, we will all meet again at the 26th Annual Russian Orthodox Church Musicians' Conference, hosted by the Holy Transfiguration Cathedral in Los Angeles, California, October 4-8, 2017, with the sessions taking place at the Four Points Sheraton Los Angeles, Westside. The theme of the Conference is “Prayerful Sound in the Orthodox Church: Vocal Artistry of the Deacon, Reader and Singer at Divine Services.” Watch for the official announcement and registration information.